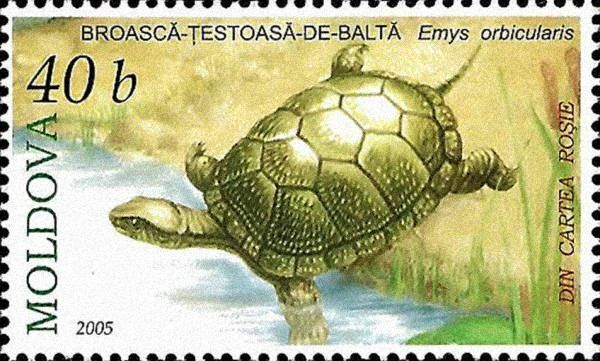 On 29 September 2005, the Post Office of Moldova (Poșta Moldovei) issued a series of postage stamps with the title The Red List of Moldova - Fauna. Reptiles and Amphibians. 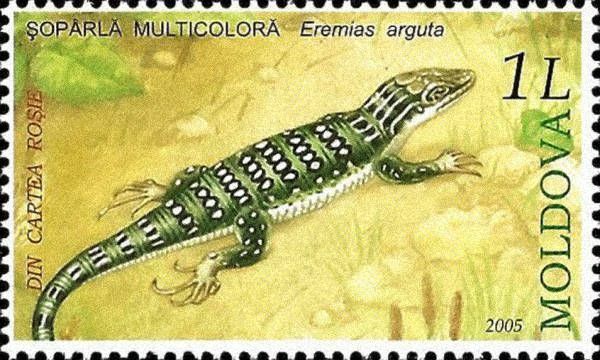 The issue comprises four stamps, with associated cancellation (postmark) and first day covers (FDC). The designer was Simion Zamşa. The printing was performed by Tipografia Centrală, Chişinău. The European pond turtle (also called the European pond terrapin), Emys orbicularis is a long-living freshwater species of turtle. Read more.. This article uses material from the Wikipedia article 'European_pond_turtle', which is released under the Creative Commons Attribution-Share-Alike License 3.0. Eremias is a genus of wall lizards of the family Lacertidae. Read more.. This article uses material from the Wikipedia article 'Eremias', which is released under the Creative Commons Attribution-Share-Alike License 3.0. 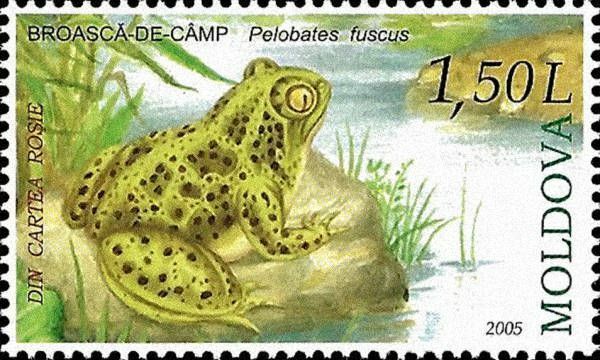 Pelobates fuscus is a species of toad in the family Pelobatidae, native to an area extending from Central Europe to Western Asia. It is commonly known as the Common Spadefoot, Garlic Toad, the Common Spadefoot Toad and the European Common Spadefoot. Read more.. This article uses material from the Wikipedia article 'Pelobates_fuscus', which is released under the Creative Commons Attribution-Share-Alike License 3.0. Vipera ursinii is a venomous viper and a very widespread species, found from southeastern France all the way to China (Xinjiang). No subspecies are currently recognized. Read more.. 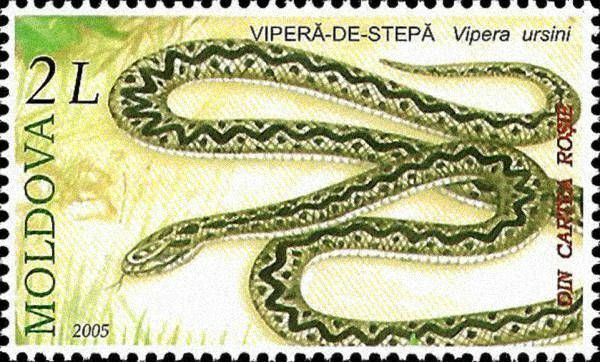 This article uses material from the Wikipedia article 'Vipera_ursinii', which is released under the Creative Commons Attribution-Share-Alike License 3.0.